Arms Of War | Thrash till Death! The next update In our shop. We’ve got exclusive limited edition t-shirts Arms of War. Write directly to armsofwar.band@gmail.com to order! The price for postage and packaging, payment details etc. will be sent to you by email after you purchase an item. 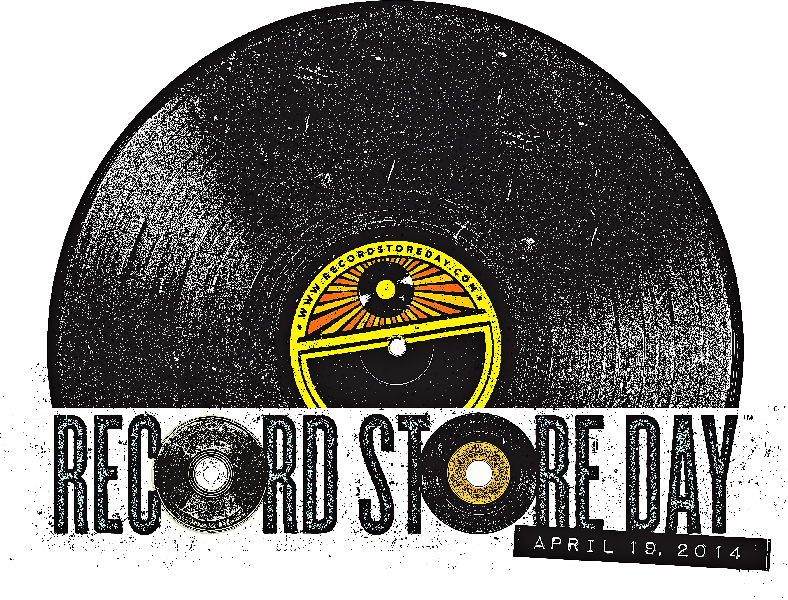 12th April 2014: Are you ready for Record Store Day? 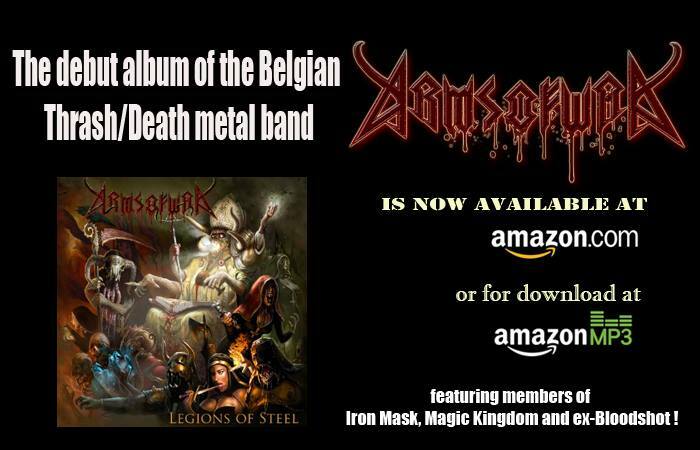 27th February 2014: Arms of War announce the release of their album Legions of Steel! ARMS OF WAR debut album, “Legions of Steel” will be released on April 19 2014, by Turntable Records, division of Groovy International and Noizr Productions. The album was produced by ARMS OF WAR and Triptykon’s guitarist V. Santura and recorded at AOW Studio Brussels, Belgium, mixed and mastered at V. Santura’s Woodshed Studio in Germany in 2012 and 2013. ARMS OF WAR described their music as “thrash, melodic death metal”, a great mixture of Thrash/Death Metal with elements of Groove and Heavy Metal, with some Neo-Classical leanings in the solo passages, albeit played in a somewhat lower register. However, in between, his guitar goes into a Groove Death mode which intertwines with the rhythm guitars. The voice is what a voice should be in Death Metal. 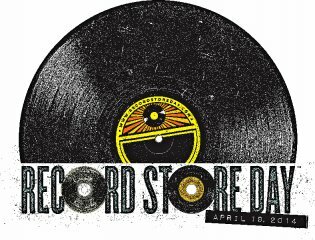 Among other formats, the album will be released as Limited edition Digipack CD (booklet with lyrics to every song, and with a sticker), in a Limited Edition Colored gatefold vinyl, and for digital download. For the first time for ARMS OF WAR, the Artwork was made by Cyril van der Haegen – American award-winning illustrator and concept artist. 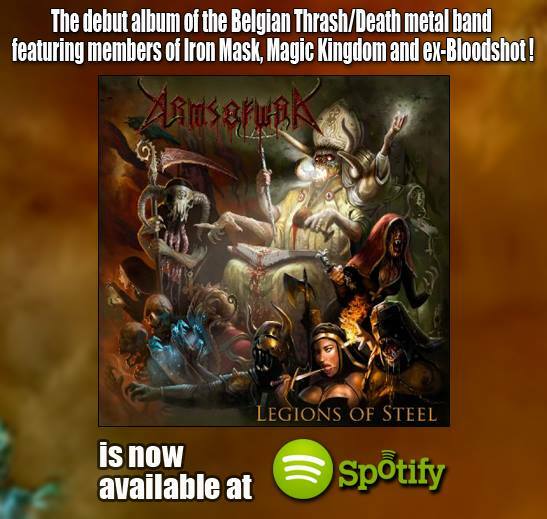 28th September 2013: Album “Legions of Steel” is out! Arms of War released their debut album “Legions of Steel” Sept. 17th ! 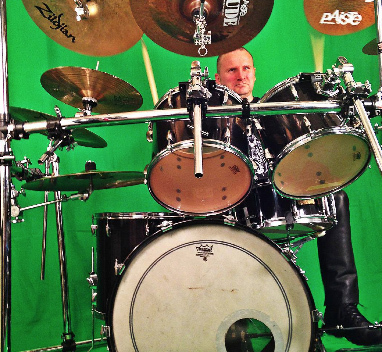 Yesterday we finished to shoot our first video clip for the song Deus Amo. ARMS OF WAR was founded in 2010 by former BLOODSHOT guitar player Vadim Grebenko and drummer Alex Shag who left behind the activity in BLOODSHOT and decided to start a new band. They asked their old friend Roma Siadletski from IRON MASK, MAGIC KINGDOM to join them. As all of them were big fans of Thrash and Death metal bands like SLAYER, EXODUS, DEATH and CELTIC FROST, after a few rehearsals they already knew which way they have to go and started to compose a new material for their debut album. Something, however, was missing in their music : a lead guitar player. Dushan Petrossi from IRON MASK and MAGIC KINGDOM joined the band as lead guitar. After the demo was completed they hit the studio for recording and asked Andreas Lindahl (ex-IRON MASK, ex-The MURDER of My SWEET) to play additional keyboards.